I’m going into soft launch mode with LocallyGrown News this month. By rolling out the beta version of the hyperlocal online community through private invites to selected users, I can get feedback on any design, content, architecture or function elements of the site…and still have time for adjustments! My goal is to use local Earth Day events to distribute information on the project to key community people and get them interested. I’ve already started conversations with city officials, photographers, content providers and others generating some buzz about the site. I’ve designed a simple 4 x 6 postcard that I’ll distribute to vendors/volunteers at the local Earth Day events. I’ll also be able to gather my own intelligence about who is doing what around my core content and gauge reactions on the spot. Here's the front of the postcard I'll distribute for my private invite. 1. Use this ready-made event to gather intelligence. I’m much more effective by being a participant rather than purchasing a booth at this stage. I can move quickly through the fair and get information. 2. Find out who has information to share. Are master gardeners using email to distribute information? Is the city having difficulty communicating on ordinance changes for urban gardens? These pain points make LocallyGrownNews a powerful solution for their problem. 3. Look for stories. Everyone has a story. So I’m taking my camera and getting lots of them in one place. Some I’ll follow up on later, with pictures at the farm/store/market. But I can get a lot of information in one place. The goal is to build an email list of interested users, content providers, passionate participants and others for the site. Earth Day is April 22. Seven days. Gotta go. LocallyGrownNews.com is an online community and mobile application designed to foster conversations around the locavore movement. A locavore is someone who eats locally grown produce within 50 miles of their geographic location. 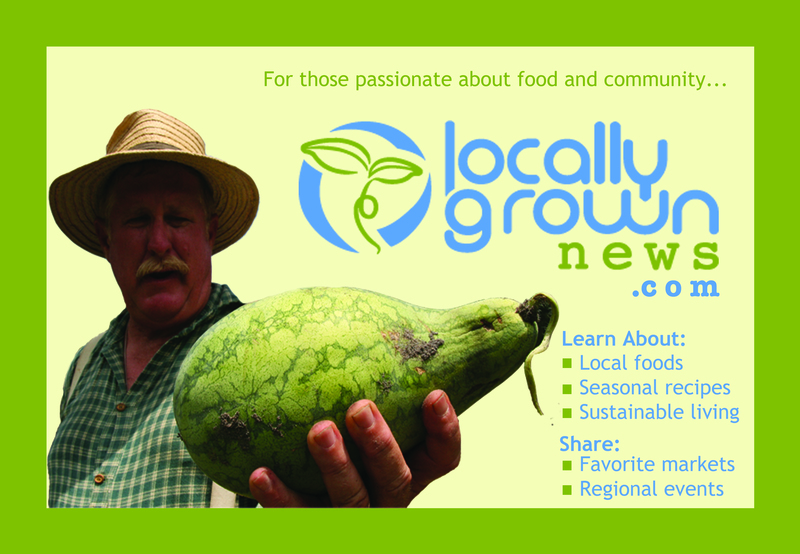 LocallyGrownNews.com uses the eating locally movement to generate conversation around sustainable, healthy lifestyles. The online community features eco-friendly, geo-specific topics about locally grown produce and other products. Robust user profiles allow people to connect with those with similar interests and passions. The mobile application creates a virtual exchange, connecting producers to co-producers (consumers) in a just-in-time manner. Consumers can find out what is being sold by vendors and markets in their area. We are also interested in restaurants that feature locally grown foods as well as entities that might use surplus produce for charitable purposes such as food kitchens and churches. Beta tests will be run in both Winston-Salem and Greensboro, NC. We’re currently looking at expansion sites in Daytona Beach, Florida and in Burlington, NC. Dr. Michelle Ferrier is the initiator behind LocallyGrownNews.com. She is working with InnerEye Studios in Winston-Salem and Creative Circle Advertising Solutions in East Providence, RI on development of the news and market platforms.